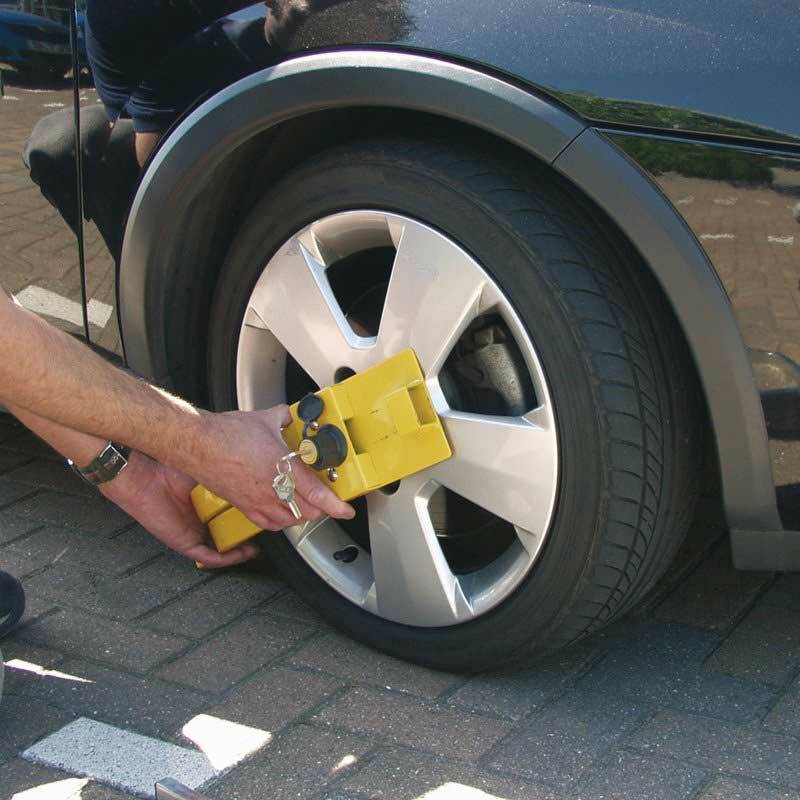 Fitting a personal wheel clamp can be the perfect method to help keep vehicles safe and secure, by protecting them from theft when left unattended. The Sealey Wheel Clamp is an easy to use, yet highly visible and effective, traffic security device. 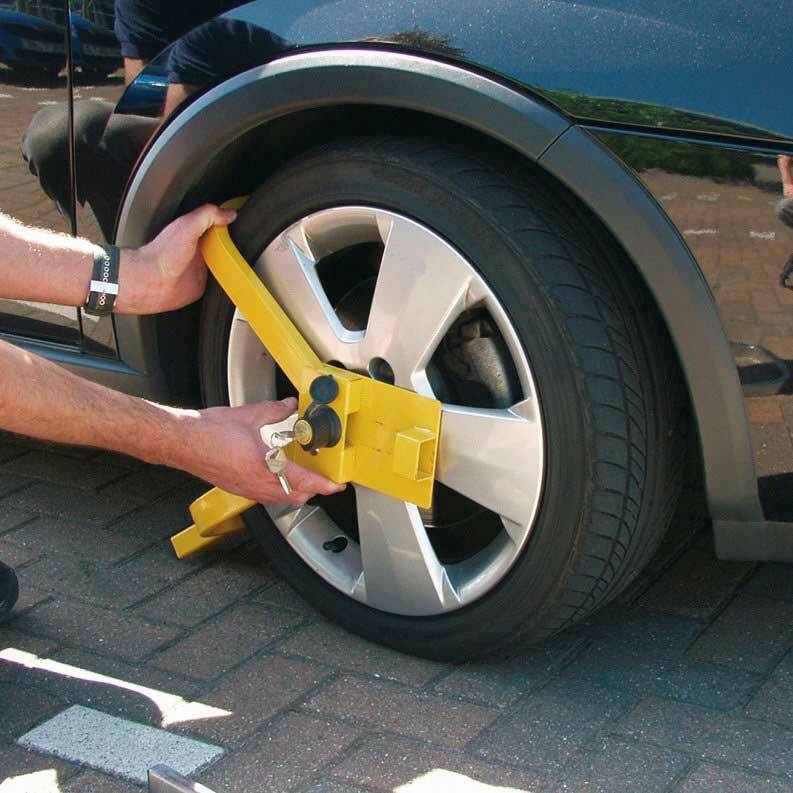 Using a wheel clamp such as this on a vehicle provides a visible deterrent, which can be a key defence strategy for protecting a vehicle from those who may be looking to commit automotive theft. It can be used to protect a range of vehicles such as small and large cars, vans, caravans and trailers. 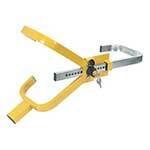 The easy to use ratchet action of this wheel clamp makes it a straightforward to use and efficient process. Purchasers of this product do not need to worry about not having enough time to be able to fit this clamp when leaving their vehicle unattended. The yellow frame design of this clamp makes it instantly recognisable as a vehicle protection device, making it suitable for forecourt vehicle protection. This design of wheel clamp has a range of diameters available. This makes it a good choice for a range of vehicle types. The minimum clamp diameter is 540mm and the maximum clamp diameter is 740mm. The maximum tyre width this product can accommodate is 225mm in diameter. This product is a fully lockable wheel clamp that comes with two keys as standard.